Automated Package Verification (APV) is a parcel scanning program by the USPS designed to verify if a package is using the correct postage amount by checking package weight, box size, and other critical information. If a package is found to be underpaid, the USPS will automatically deduct the postage due from your USPS account. For overpaid packages, a refund will be issued in your Stamps.com account. As a result, packages that may previously have been returned to sender, treated as “dead” mail with no return address, or delivered to the addressee with a postage‑due notice will have address and postage discrepancies detected at point of drop‑off to ensure they make it to their destination. If you ship packages for your e‑commerce business, Automated Package Verification can save you the hassle of troubleshooting issues with delivery on your end. Here’s a look at how APV works for you. What is the Automated Package Verification system? Simply put, APV eliminates the historical uncertainty of how packages misaddressed and/or charged the wrong amount for postage ultimately arrive at their destination, plus the logistical and billing headaches for both shipper and receiver. Previously, overcharges were eaten by the shipper – you! – and in the case of underpaid packages, customers were faced with the annoyance of postage-due shipments. With this extra measure of ensuring correctly calculated postage at the point of origin, you and your customers benefit from a smoother delivery process, cleaner accounting and higher levels of customer service. How does the USPS implement the APV? How does pricing adjustment work? If the USPS equipment detects incorrect postage, USPS issues a debit or credit to your postal account balance. 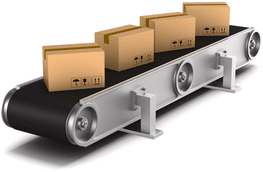 While adjustments are processed within 30 days of the shipment date, they typically occur within 5 to 7 days. How does APV integrate with Stamps.com? Stamps.com detects and automatically reports the details of any APV adjustments. The Reports tab will display adjustments in the Balances Report, which lists all of your account’s transactions. The History tab shows postage adjustments per shipment via the Print Details panel in the Services section. How do I appeal a package flagged for APV underpayment? Resolving discrepancies couldn’t be simpler. If you feel an APV adjustment was made in error, just email VerifyPostageHelp@usps.gov with the package tracking number and an explanation of your dispute. Be sure to be specific; if USPS needs to know more information, they will contact you via email. Once USPS reaches a decision, Stamps.com will let you know the verdict. What else do I need to know about APV? 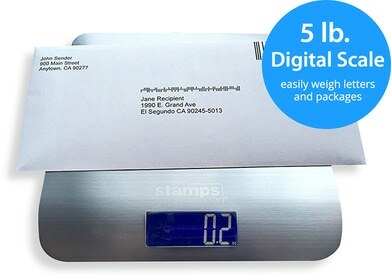 Keep in mind that large envelopes and flats must be bendable with an even surface, with no flaps or content shifting. These types of shipments account for a large number of the postage problems now identified by APV. If you use USPS Priority Mail packaging, make sure your postage matches the packaging type (e.g., don’t affix non‑Flat Rate postage to Flat Rate packaging). Use an accurate digital scale, and be sure to remember to round up, not down. Understand dimensional regulations, especially for irregularly shaped items.